R&B Building Services have carried out various works at the head office of Hoseasons in Lowestoft, Suffolk. Works have included extending and completely refurbishing the canteen and staff eating area and also replacing and upgrading four toilet blocks within the office. 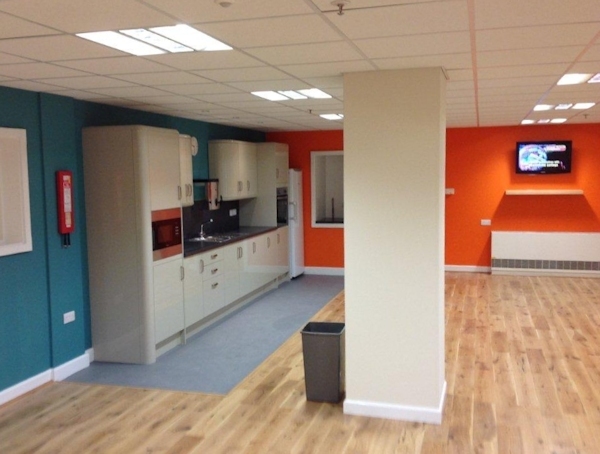 In the canteen, we installed new kitchen units, worktops, oak flooring, new lighting and complete redecoration. R&B can provide full M&E and HVAC installation and maintenance in addition to our structural and refurbishment services. ← Luxury Rooms, The Angel Inn, Hetton, North Yorks.